From October 1st to November 28th 2010. - The presentation of four case studies included in the project's archive. - The creation of a resources centre for gathering documents, publications and a programme of videos à la carte . The goal is to build the contents of the project in collaboration with several local networks and initiatives . 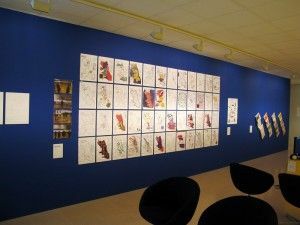 >Relational Archive Exhibition with four case studies. - AREA Chicago. http://www.areachicago.org/ From the year 2005, AREA Chicago published a magazine and also produced a series of actions and events. This activity achieves a double objective; research in the fields of art, education and activist practices in the city of Chicago; and the production and cohesion of networks between grassroots professionals and activists. 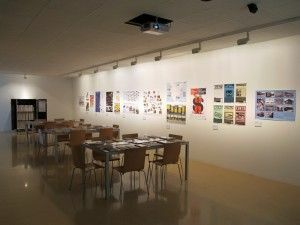 In its four years of life, AREA Chicago has published nine editions of the magazine and has produced more than fifty public events. 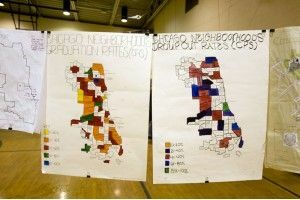 Among their noteworthy projects is the Popular Atlas of Chicago, a series of workshops to create and display maps related to the city, on which to highlight forgotten stories, desires and present problems. - Atelier d'architecture autogérée (aaa) http://www.urbantactics.org 2001, the group Atelier d'Architecture Autogérée (aaa) undertook a series of self-managed projects in the area of La Chapelle, in the north of Paris, in which they promote residents' access to underused spaces to bring about a critical transformation . 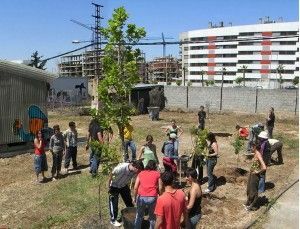 The projects started with the collective establishment of a temporary garden, denominated ECObox, built with materials recycled from a hangar belonging to the RFF (French train company), with which they met to analyse the existing abandoned spaces. 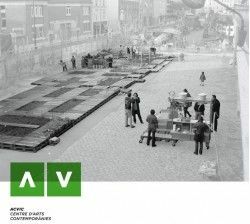 The garden became progressively a laboratory of cultural production in which activities, discussions, workshops and every kind of material and immaterial productions were carried out. - Andrea Meller, Damon Rich, Rosten Woo y The Center for Urban Pedagogy (CUP). http://www.anothercupdevelopment.org Andrea Meller, Damon Rich, Roster Woo and The Center for Urban Pedagogy (CUP). The CUP is a non profit organization devoted to increasing the quality of civic participation in urban planning and community design. 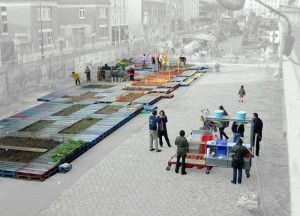 They work with subjects such as public space, art, architecture , education and environmental construction. 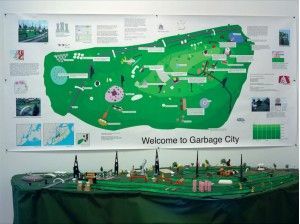 Garbage Problems was a research project , running in 2002 with the collaboration of the alternative school City-As-School, about the waste management system of the city of New York due to the emergency arised from the closure of the Staten Island dump. - Aulagarden. Aulabierta+Faaq http://aulabierta.info Aulagarden is a project within Aulabierta+Faaq, an experience in the design and construction of a community of self-managed learning and knowledge production carried out by students of the university of Granada. Aulagarden appeared in order to build a garden in the university, a designed space, managed and cared for with the direct participation of the students. It is an open research and an educational tool whose experience may be used in other university and city areas. 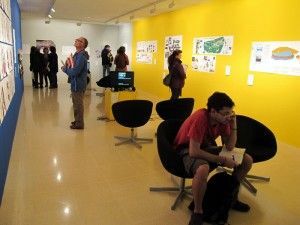 Transducers is a cultural project that intends to investigate and promote initiatives in which artistic practices, political intervention and education, from the action of interdisciplinary collectives, are articulated in a flexible way. TRANSDUCERS is defined by the deployment of an archive with which to broadcast, interweave and question the above practices, through several case studies , searching the direct relationship in context through seminars, training workshops and work in collaboration with local agents . 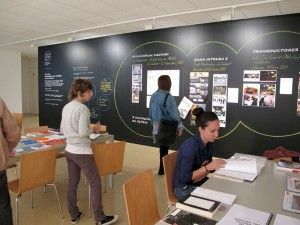 The materials collected in the archive give visibility to processes carried out by collectives, or the results of their practices (publications, posters, diagrams, maps, videos, etc). These practices are presented as models of collective education, by which approach specific social problems (like recycling, health, waste disposal, clean energies, the concept of citizenship or urban regeneration) through sustainable development, civic participation or visual culture. These initiatives include the interdisciplinary work of educators, students, artists, architects, landscape gardeners or town planners, promote the exchange of skills and knowledge, while encouraging collaborative learning, and instituting alternative spaces of education and citizenship.